Travel season is in full swing; it seems like everyone on your Instagram feed is in Bali or Bangkok living the carefree life right now. If you’re tired of the same old beaches and shopping trips holiday after holiday, it’s time to shake things up by breaking the travel mould and taking a trip far, far off the beaten track. 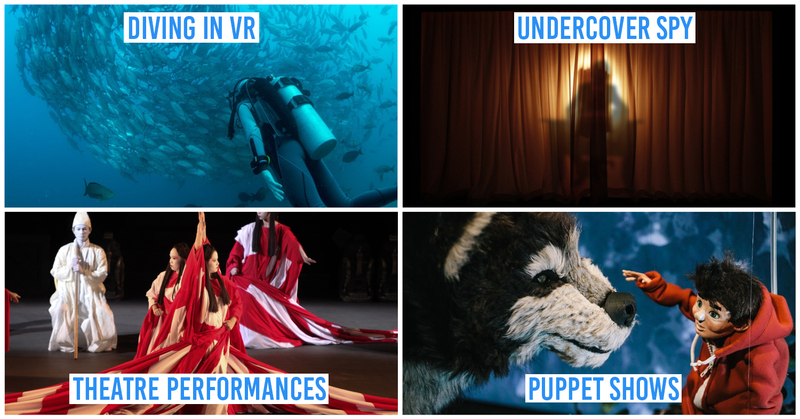 With almost no commercial tour package deals or reviews to rely on, prep yourself for a wild adventure that’ll make your friends and followers wide-eyed in wonder - or envy. For less than $500, here are 11 obscure cities to hitch an unconventional trip to during your next long weekend. 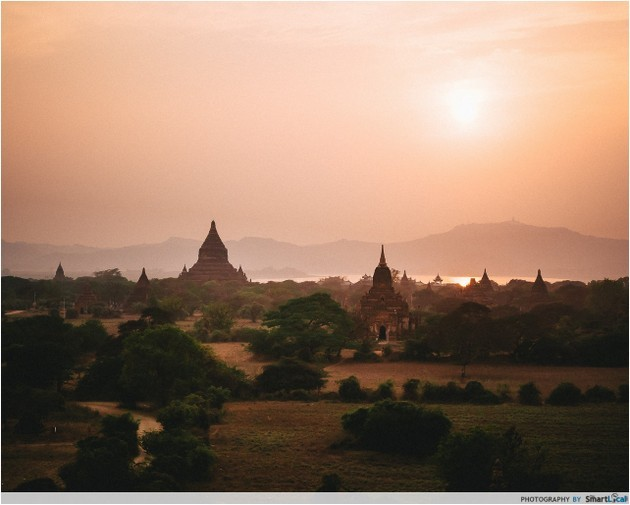 Lying on the banks of the Irrawaddy river, you won’t see as dense a cluster of temples and ruins anywhere else in the world. Two lovebirds overlooking a deserted city - how’s that for a romantic travel date? 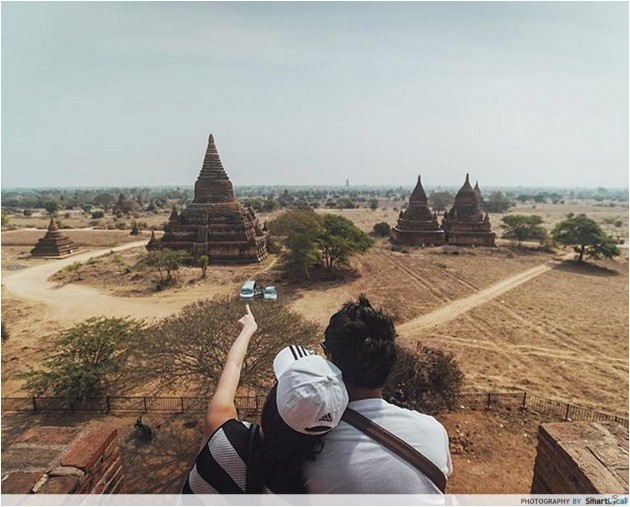 Not too different from the iconic structures of the famed Angkor Wat, its stupas are a must-see for every traveller treading on Bagan soil. These historic little mounds - in different stages of decay - have retained most of their original form despite the elements and can be ascended like staircases. Anyone brave enough to scale these old buildings will be rewarded with a sweeping view of this majestic terrain. 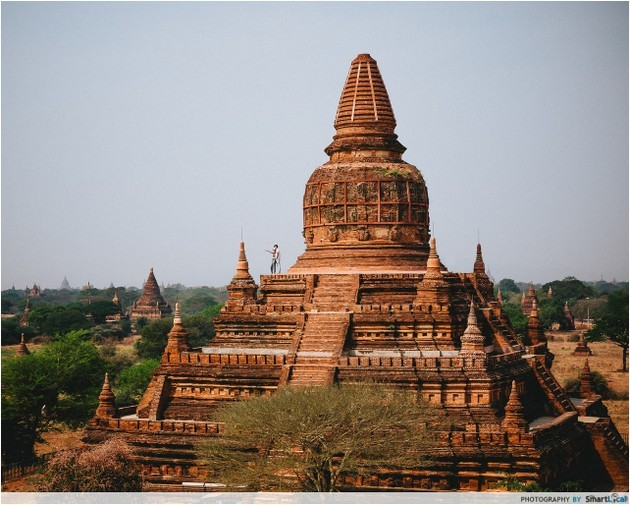 Marvel at the grandeur of the Thatbyinnyu Temple, the tallest standing pagoda in the city, or check out the Dhammayangyi Temple, a relic of the past housing a haunted history. Built by King Narathu who usurped the throne by murdering his own family, the temple is believed to be a symbol of atonement for his sins. 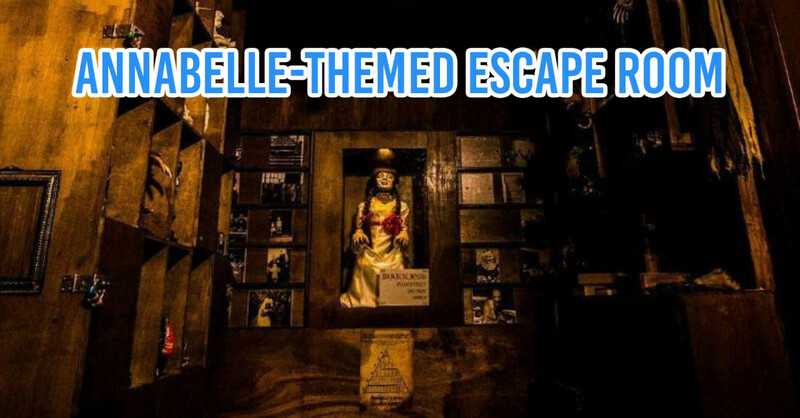 History buffs will delight in uncovering local myths and legends while soaking in the rustic vibes of this conservative city. 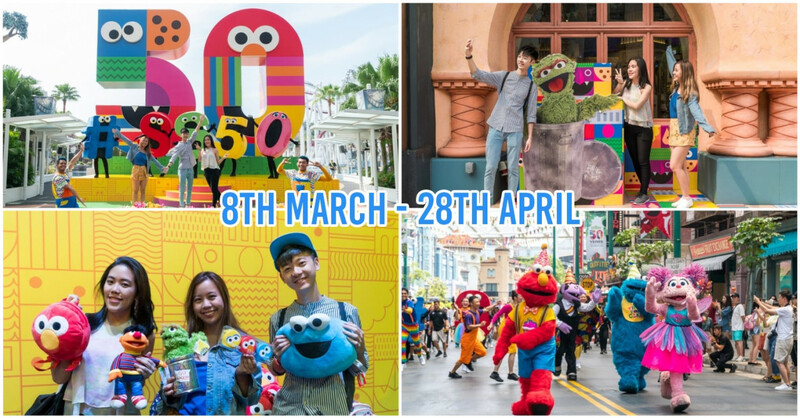 While the trip alone doesn’t exceed the $500 budget, if you’re willing to splurge - we highly recommend you set aside some dough for the next attraction! 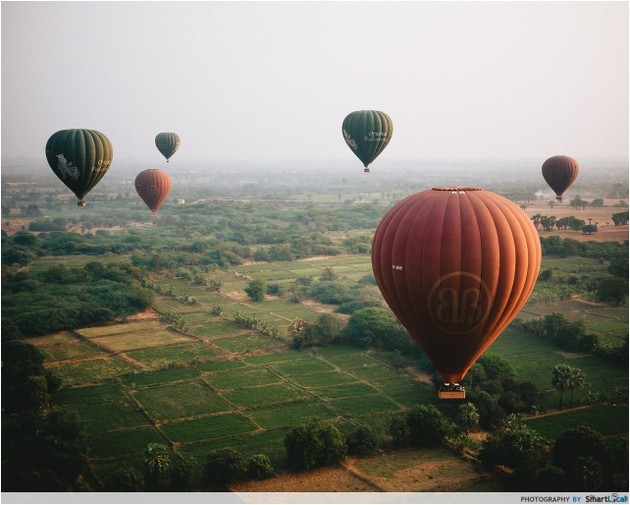 Being able to fly like a bubble in the sky with no glass windows obscuring the view is something every wanderluster must do before they die, and where better to try it than in Bagan, a historic lowland with few skyscrapers? 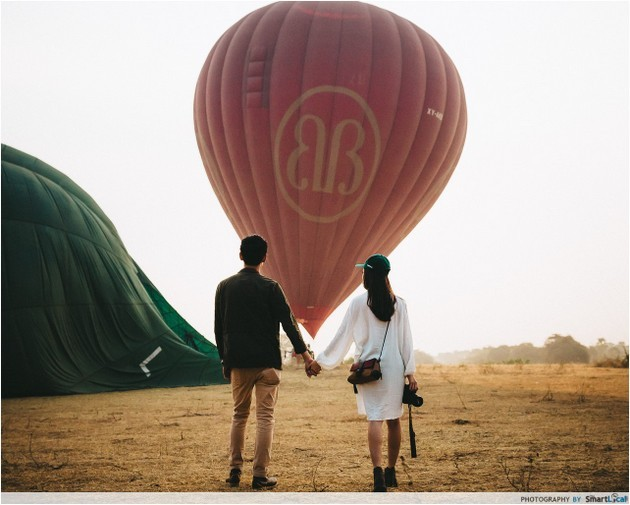 *These hot air balloon rides will bust your budget, but for a once in a lifetime experience, it’s worth it. 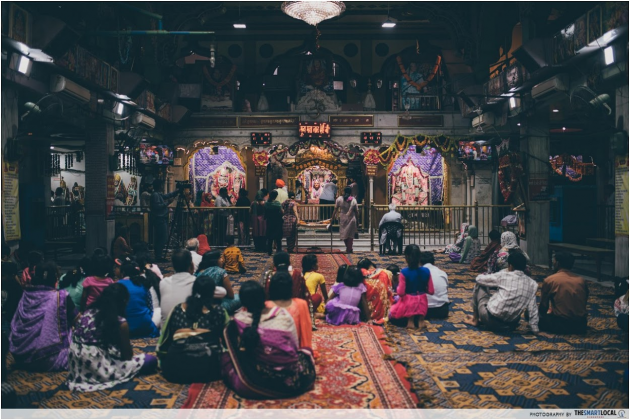 Ask to see any Singaporean’s travel bucket list, and I guarantee you won’t find India anywhere on it. 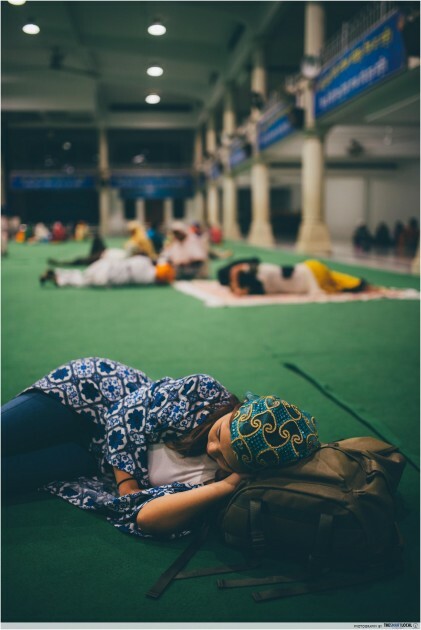 You might have been to Delhi or Mumbai, but I’ll bet you haven’t heard of Amritsar. Possessing a raw beauty and a people and culture so colourful, it’ll put a smile of wonder on your face. 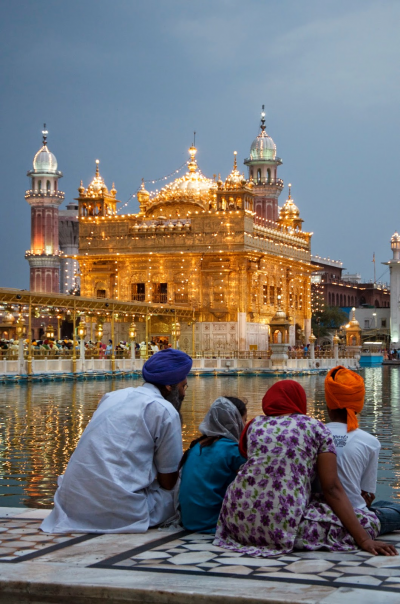 Bathed in 750 kg of pure gold, The Golden Temple of Amritsar is India’s hidden treasure. 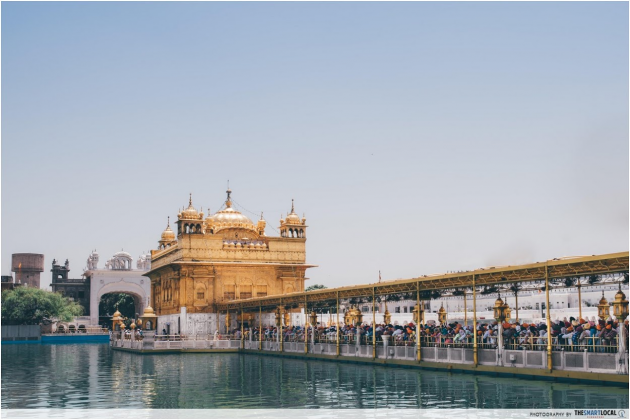 Attracting more domestic visitors than the Taj Mahal itself, everyone is welcome to pay their respects at this Sikh masterpiece. Visitors are welcome to eat and sleep for free for up to three days. Safety is not an issue as the grounds are guarded against anyone but the visitors and temple staff themselves. 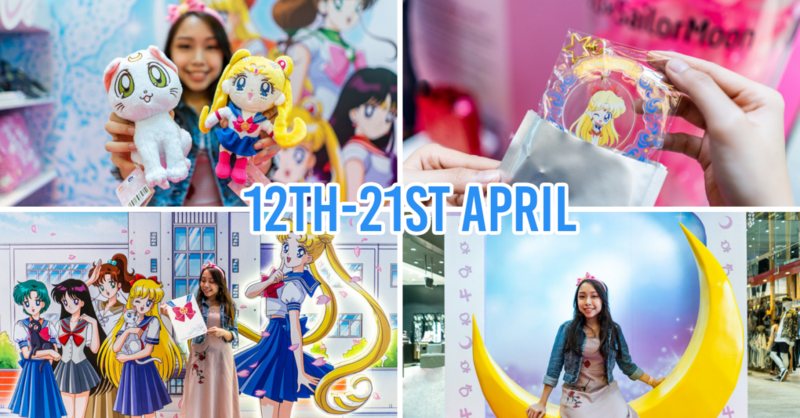 Nothing beats getting a taste of the city’s local life, and truly immersing yourself in its day-to-day activities. A kind local invited us into their house for a communal chapati-making session. 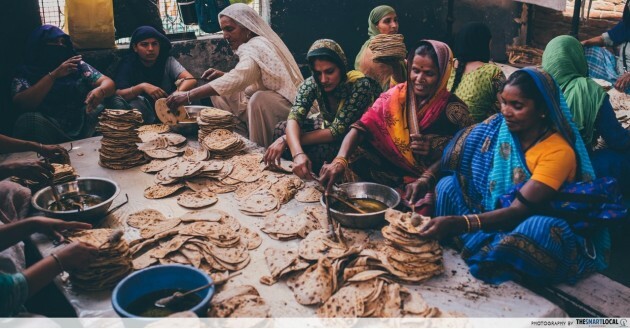 You may have eaten chapati before, but nothing beats learning how to make your own chapati from the pros, and taking your newfound chapati-making skills back home with you. The locals were so friendly and generous, they even let us into their house to have a hand in milking their buffalo. Forget mainstream cow-milking and milk a buffalo instead! You’ll get to drink the fresh milk afterwards too. 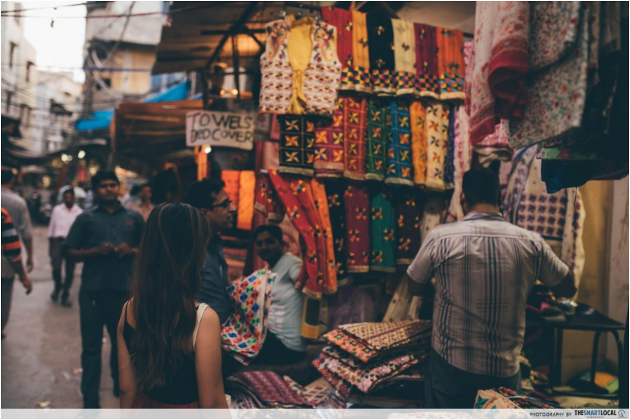 Of course, no trip is complete without shopping at the city’s bustling artisan market. Ornate mandalas, gorgeous saris and jingly bangles await. You’ll even find a whole street dedicated to the city’s beloved papadum (fried flour disc) snack. And when it comes to accommodation, even if roughing it out in the temple is not for you, you can always opt to live it up in one of their 5-star hotels for less than S$100/night! 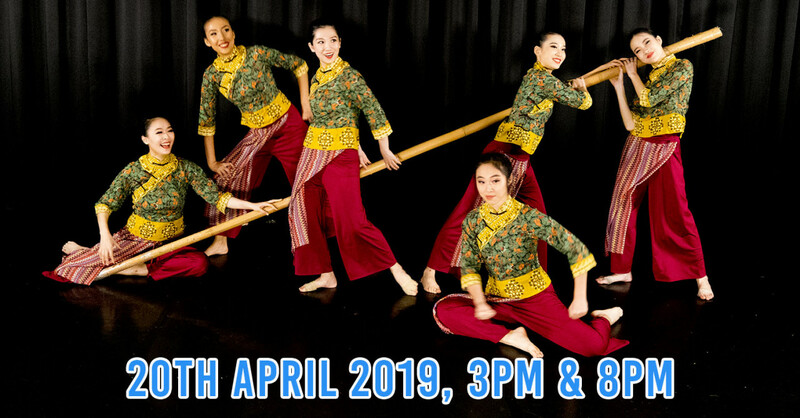 No, it’s not Chiang Mai - but it’s close. 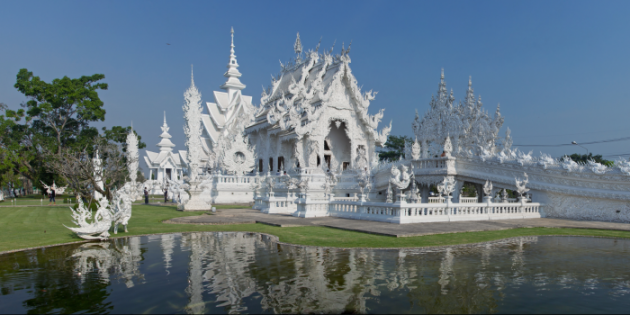 Chiang Rai is a destination every world-thirsty traveller must hit with its rich culture of old still well-preserved in the modern age. Neighbour of the ever-popular capital Chiang Mai, Chiang Rai receives far less tourist traffic, so you can rest assured that you won’t have to crop people out of your travel photos. A perfect balance of nature and culture, Chiang Rai will sate any curious spirits and take your travels to greater heights - literally. 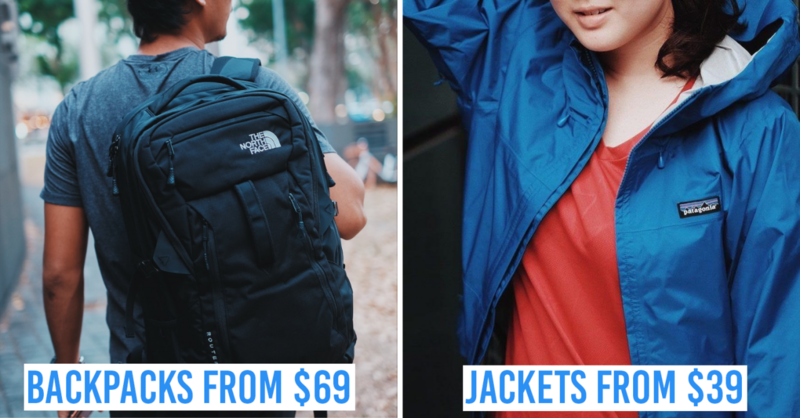 If you’ve always wanted to see the same breathtaking sceneries on Tumblr or Instagram through your own eyes, then gear up and throw caution to the wind because this hike will not disappoint. 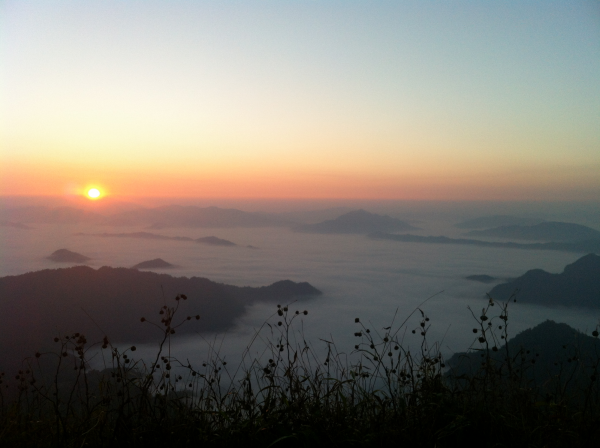 To catch the captivating sunrise, you’ll have to take a 4am songthaew (open-back van) ride up the mountain’s winding slopes and embark on a 35 minutes hike up to the peak. 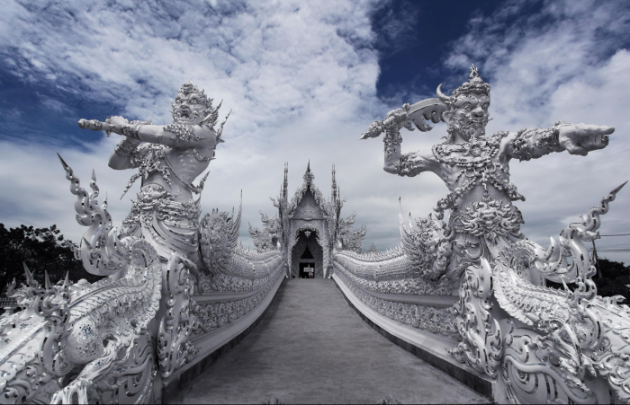 The White Temple, 15km south of Chiang Rai is a symbol of Buddha’s purity and divinity, and is one unique pit stop not to be missed. 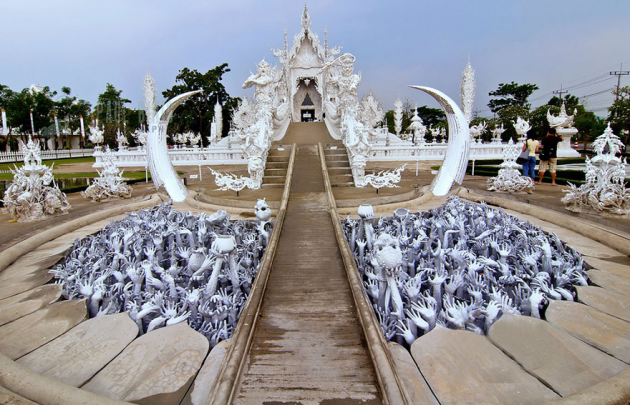 Elaborately decorated to reflect Buddhist teachings, try your best not to be crept out by the hundreds of hands that greet you at the “Cycle of Rebirth” bridge. 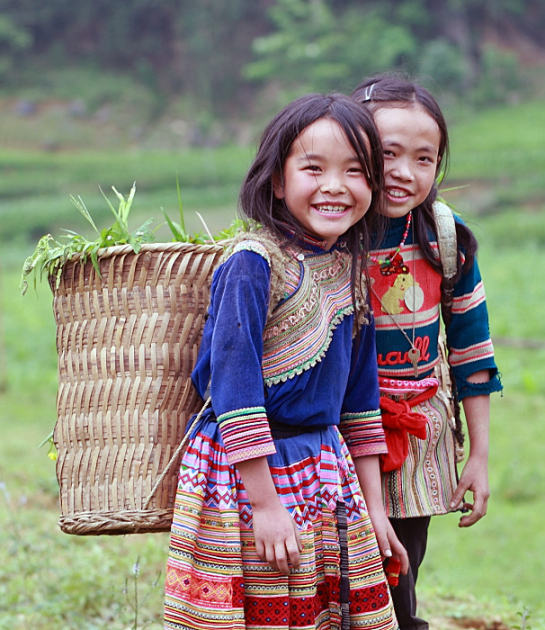 Chiang Rai also plays host to a few hill tribes in the depths of its forests. Of these, the Akha hill tribe is one of the friendlier tribes open to visitors wanting to learn more about its culture. 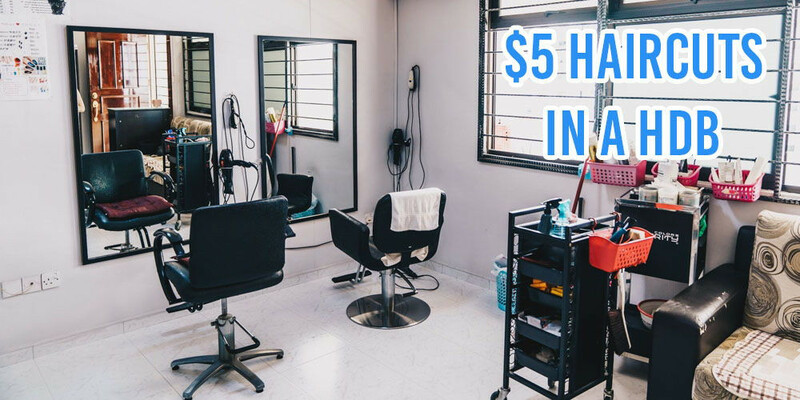 For a small fee of 300 baht, you’ll learn to appreciate a simpler way of life. Most waterfalls in the world are nestled deep within mountains or closed off to visitors for safety; it’s really not every day you’ll get to wade in one that’s this photogenic and open for adventuring. 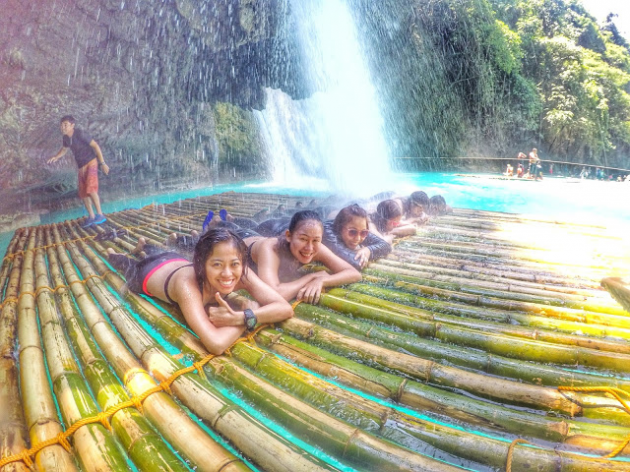 Well, welcome to Cebu’s little known outdoor wonderland, Kawasan Falls, aka Tarzan’s playground. 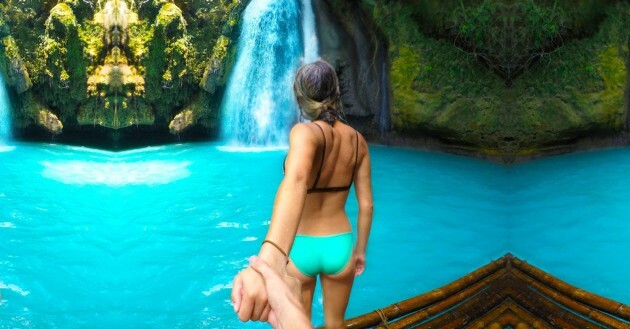 How often do you get to go under a waterfall? A legit one at that, not the man-made one from your condominium pool or luxury resort. 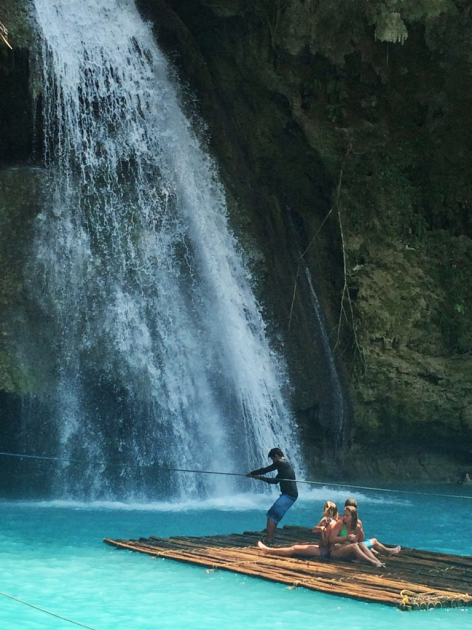 We may have jacuzzis, but nothing beats lying on a raft in cyan blue waters, feeling the mighty waterfall of the wild beat down on you. Exhilarating massage, check! To get your raft under the grand gush, you’ll first have to tug-of-war yourself there via the ropes around the waterfall. Everything’s DIY in this natural paradise! 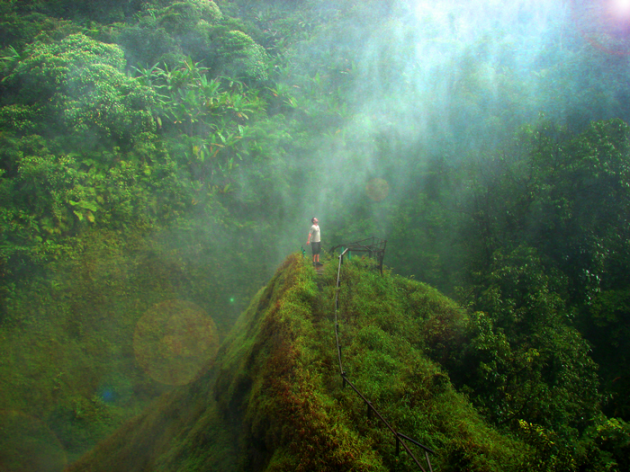 Save Australia’s Grand Canyon for another day; Cebu’s Jurassic wonderland is calling. 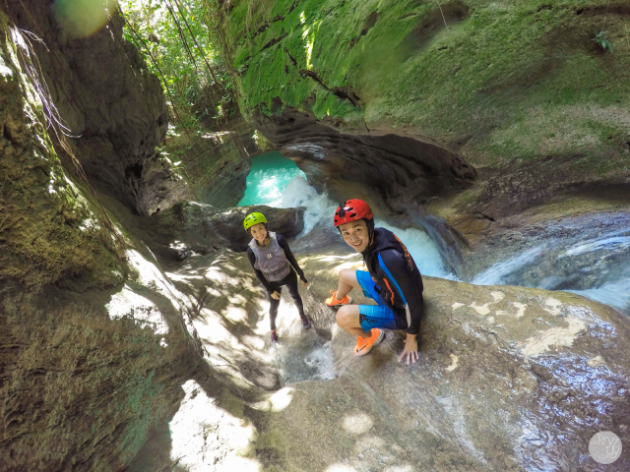 Canyoneering in Kawasan Badian National Park and Falls is no mean feat - especially when you’re asked to jump off a 3 storey/20 foot high cliff into the waterfall at the start of the trek. 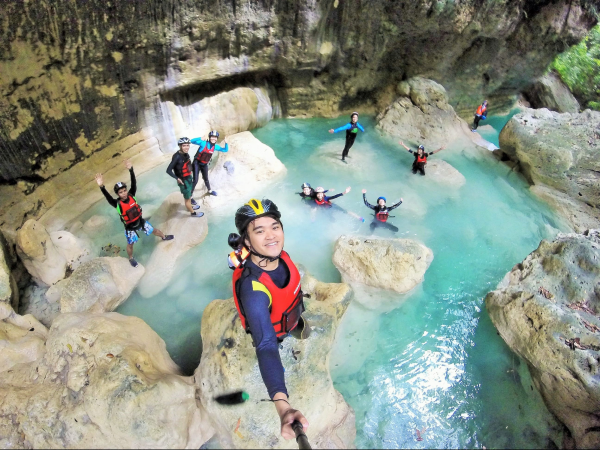 With rope swings, rocky cliffs and cliff-jumping into waterfalls on the itinerary, you’ll have your fair share of heart-stopping moments to last you for the rest of your life. Do it for Instagram! 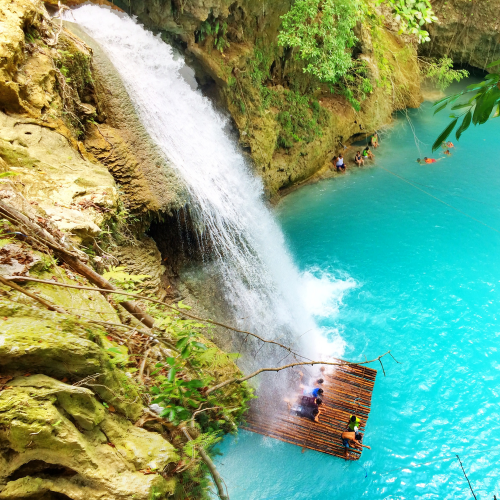 Be it the sunlit view from the top of the canyon or down below in the misty blue waters, Cebu’s Kawasan falls will instantly be the picturesque pop of colour everyone needs in their instagram feeds. Ahh, the beach life. It’s hard to believe this isn’t a picture of Bali’s incredibly blue waters, but a coral reef-lined island north east of Malaysia just across the Causeway. The only thing keeping this incredible beach away from floods of tourists is how tricky it is to get there - but stick it out and you’ll have a serene beach all to yourself. Skip the Maldives and find Dory in these cerulean blue waters instead; with the exchange rate in our favour, pricey water sports like scuba diving, snorkeling and kayaking will be your everyday go-to activities. 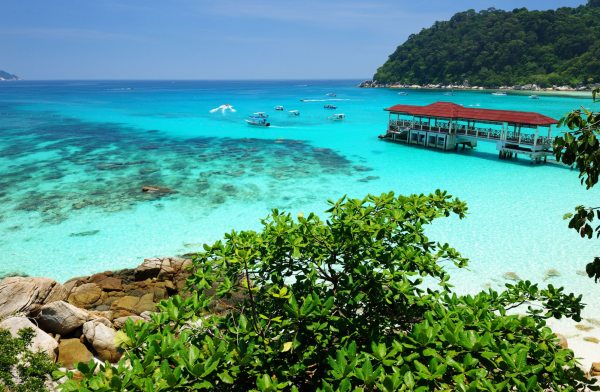 Getting There: Fly to Kota Bharu from Kuala Lumpur and take a 1.5 hour bus ride to Kuala Besut, thereafter take a 40 minute speedboat ride to the Perhentian Islands. 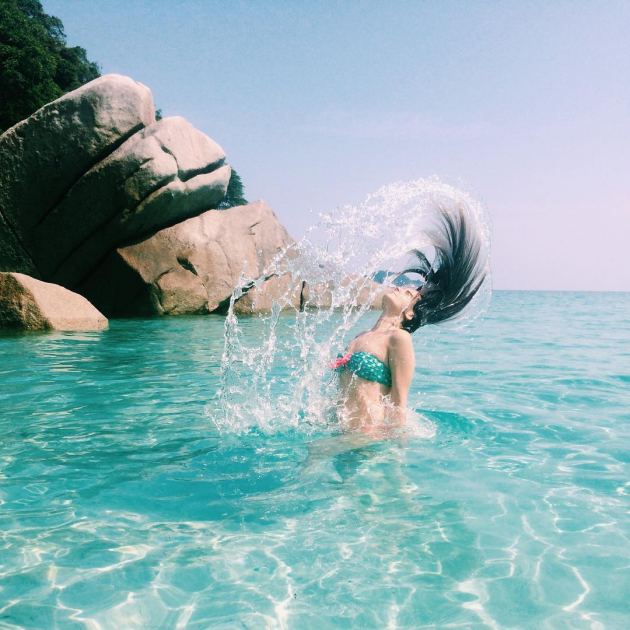 Alternatively, a 9 hour bus ride from Kuala Lumpur will then take you to Kuala Besut where you can catch a 40 minute speedboat ride to the Perhentian islands. 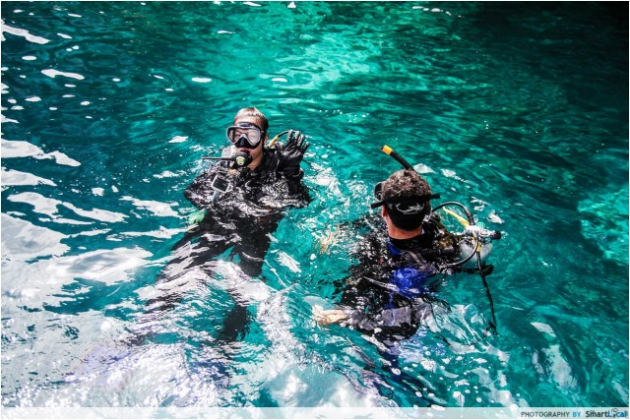 Sure, you’ve snorkeled, scuba-dived and even jet ski-ed. That’s enough to check off your watersports to-do list, but I’ll bet you haven’t boated among whales big enough to capsize your ride before. 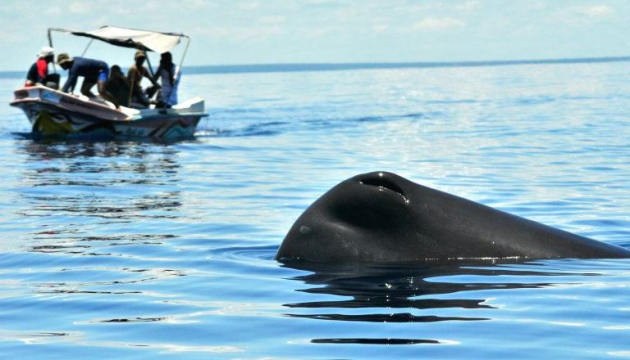 Tackle the strong currents as you get up close to whales and dolphins in Sri Lanka’s lesser known Kalpitiya. And just because you’ve done it before, why not do it again? 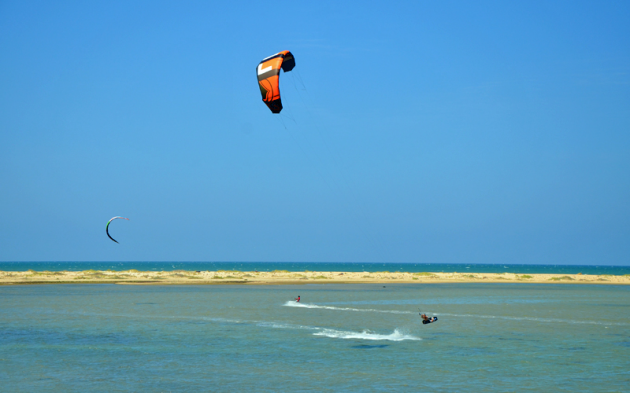 Take your pick from deep sea diving, kite surfing, wind surfing and snorkeling - there’s always a new challenge to take on in Kalpitiya! 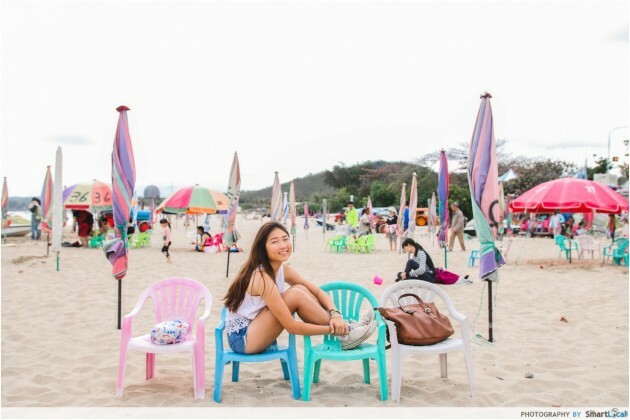 Soak in the happy-go-lucky holiday vibes at Nanwan beach, Kenting’s very own party beach. 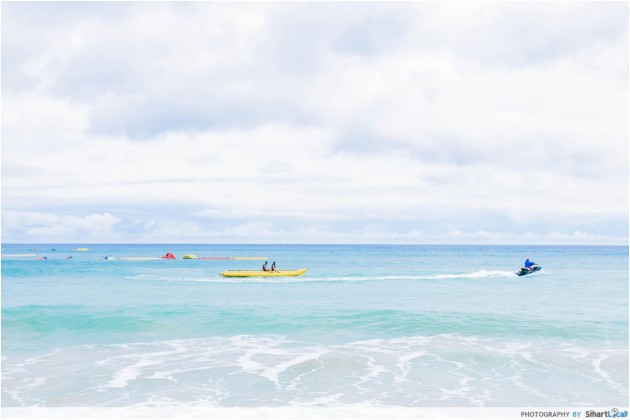 If you’re a holidayer with a taste for a little mix of everything, Kenting will be your remedy. 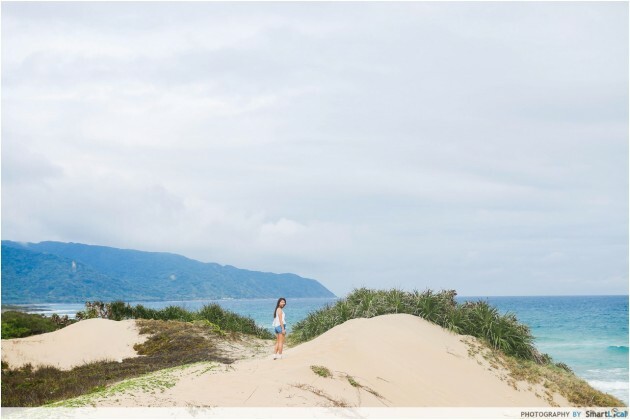 Just a two hour drive from Kaohsiung, Kenting moves on a frequency of its own, offering wanderlusters a blend of the great outdoors, quiet time by its picturesque beaches, and a little culture and history woven into the mix. How often do you get to scale a sandy mountain - on an ATV no less? This sand dune peak poses a slippery challenge to all, but conquer the sinking sand and you’ll be rewarded with a sweeping view of the ever-blue sea, and a chilling sea breeze strong enough to knock you back. 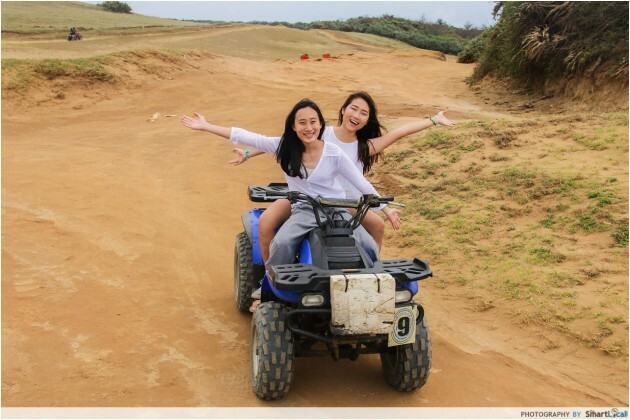 For just S$30 per bike (which 2 people can ride), ride down 风吹砂 a.k.a Feng Chui Sha’s dune-like terrain on an ATV, and admire herds of animals grazing in the wild. 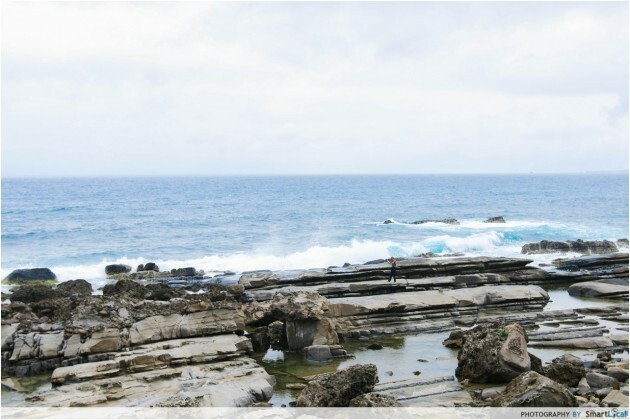 Nature lovers will go wide-eyed at these natural rock formations over at Jia le shui, also known as the playground of the sea gods. This natural wonder earned its fame for its rocks shaped by sea erosion and strong winds, some of which include rocks shaped like a lazing pig, a frog, and even a rhinoceros. 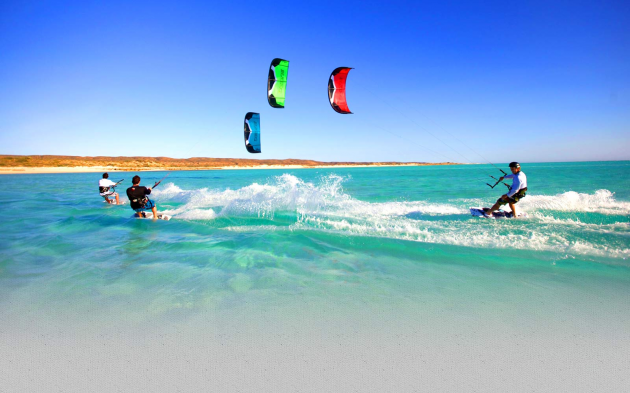 Feed the adrenaline junkie in you and pick from a choice of water activities that will leave you pumped-up and breathless. Laze your way across the sea on a banana boat, or rent a cute umbrella for a chill time on land. The vibrant atmosphere of Nanwan beach is sure to put you in a holiday mood. While half the world parties it up under the Bali sun, settle down in tranquil Lombok, the jewel of Southeast Asia, to get a taste of that cookie-cutter Bali trip without the crowd. 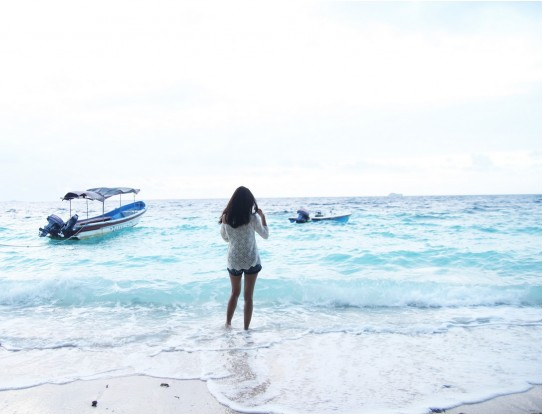 Breathtaking beaches and iridescent waters will have you feeling like you’re right in the centre of world with only the sun and sea; in fact, the water is so clear that it mirrors the sunset! Throw in a swing in the sea and you’re all set for some Tarzan-esque water fun. Definitely insta-worthy. 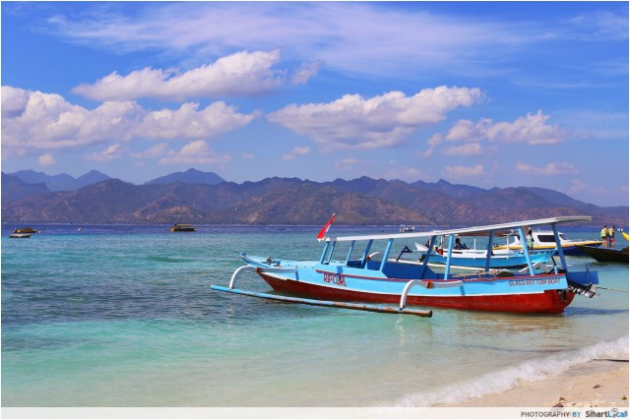 If you’re still craving for more underwater beauty, you can plan day trips to explore Lombok’s little sister islands, Gili Trawangan, Gili Air and Gili Meno, just an hour’s boat ride away. 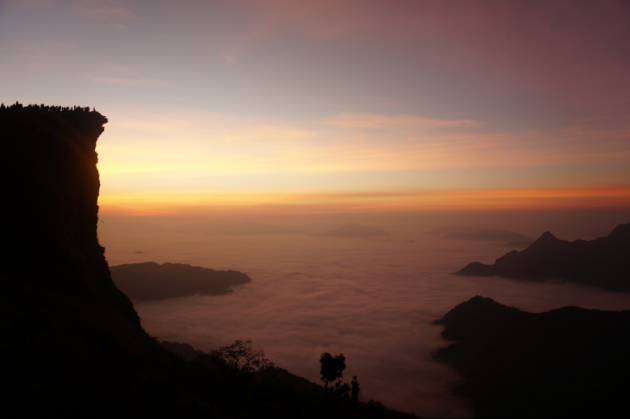 People who flock to Bali like to challenge themselves with a hike up Mount Batur. Instagram it, and you’ll just be a picture among the thousands that scale it every year. 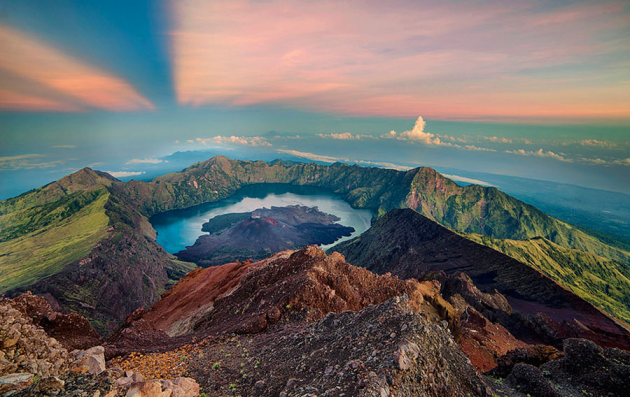 Take your mountain climbing game to greater heights with Lombok’s Mount Rinjani, Mount Batur’s 2,000m taller sister. 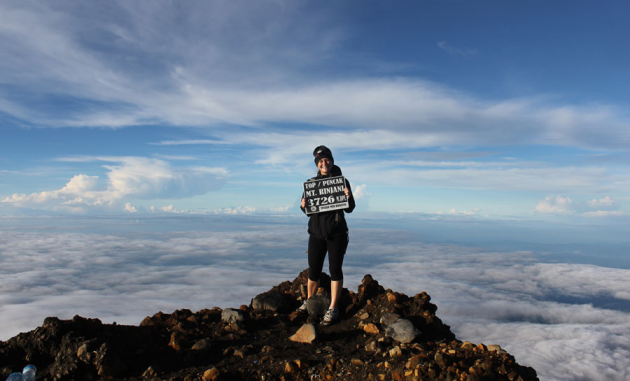 Whether or not it’s your first time scaling a mountain, conquering Mount Rinjani is no easy feat. 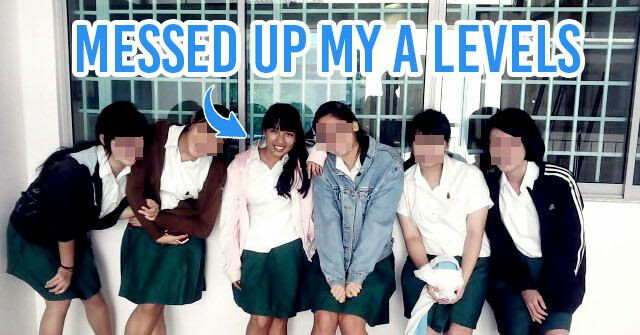 And why not profess this achievement to the world while you’re at it? As the second highest volcano in Indonesia, Lombok’s Mount Rinjani is definitely the new hiking challenge to keep an eye out for. It takes two physically demanding days of hiking to reach the peak, and the panoramic view of the breathtaking scenery will probably knock you out after, but we say it’s worth it. Bucket list checked! There’s nothing more magnificent than basking in nature’s wonders. 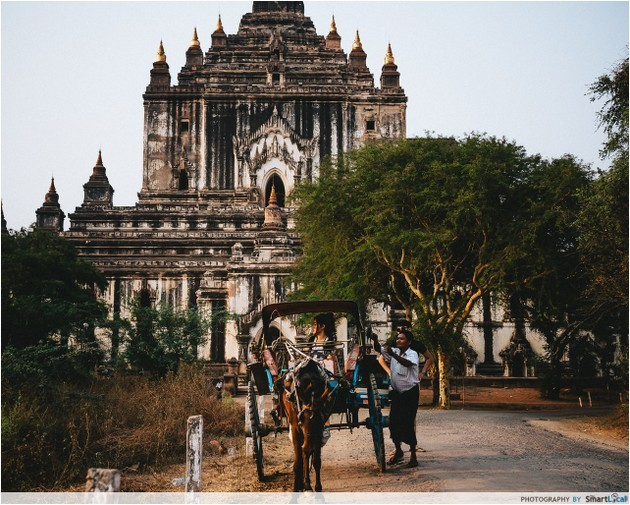 Take the Asian road trip of your life and have your own Jungle Book inspired adventure in low-key Laos. 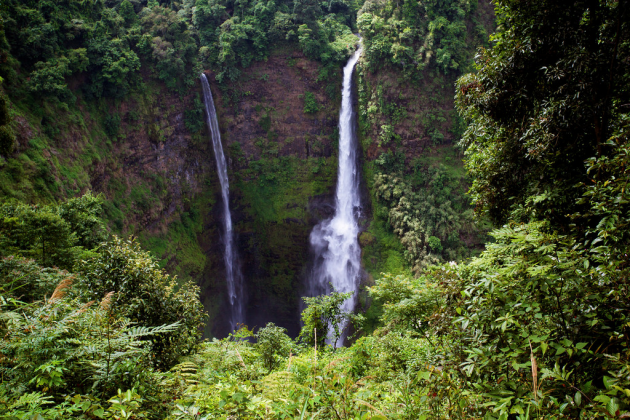 Buried deep within the tangle of the Dong Hua Sao jungle, the Tad Fane Waterfall sits upon a National Biodiversity Conservation area. Be it a half day or full day trek you’re signing yourself up for, there’s nothing more rewarding than taking in the arresting sight of twin waterfalls gushing 200m into the gorges below. Behold, the Niagara Falls of Asia! 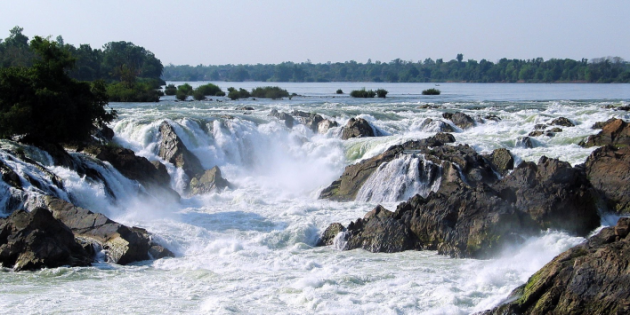 No trip to the Si Phan Dong island cluster is complete without a visit to the Khone Phapeng Falls. 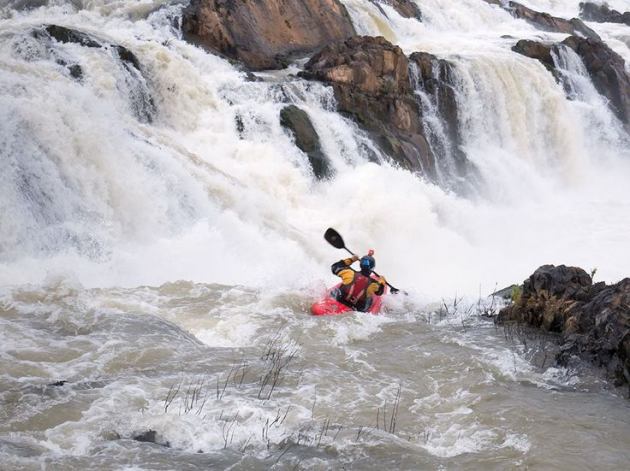 Known for its whitewater torrents and roaring waves, daredevils can kayak down the nearby Mekong river for a turbulent whitewater experience. 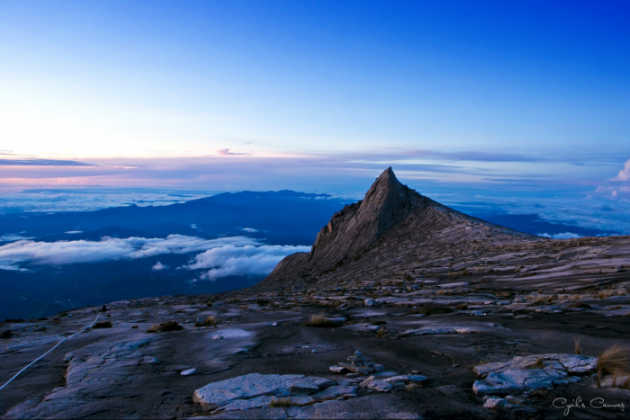 If you like living life on a mountain’s edge, then Sabah needs to be your next long weekend escapade! 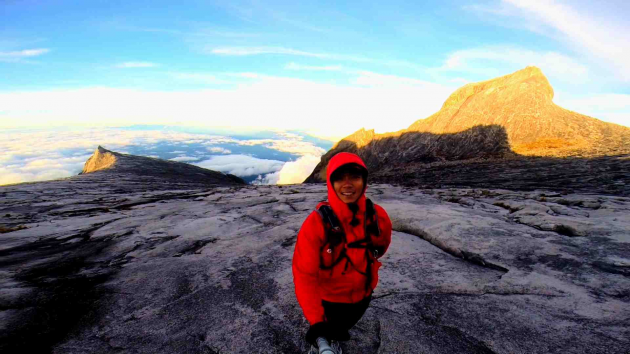 Mount Kota Kinabalu is the closest mountain every hassle-free Singaporean can hope to climb. If you’re too tight on time and budget to travel to Lombok, Sabah’s rocky giant is an even more challenging alternative. Scaling this steep mountain is no easy feat, especially when you think about all the JB street food you gave up for Sabah; but persevere, and you’ll find yourself on top of the world at the summit. You’ll be rewarded with a magnificent view of Malaysia’s mountains - a view you’d never expect to see from something just across the Causeway. 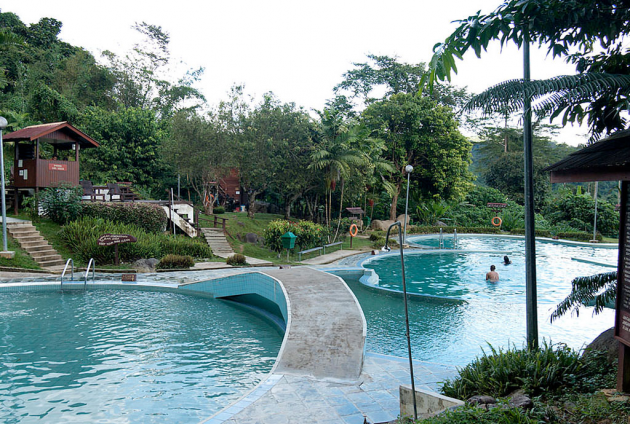 While this looks like your run-of-the-mill swimming pool, it’s actually a hot spring. And though there’s nothing like the steamy authenticity of a real Japanese onsen, when you’re all sweaty and beat-up from climbing a mountain, there’s no better respite than to sink into a hot spring that’ll soothe your frazzled muscles. Forget luxury resorts; the best way to get to know a place is to see it through the eyes of a local. Here in the natural wonderland of Raja Ampat, expect no air conditioning, fluffy beds or wifi connection. 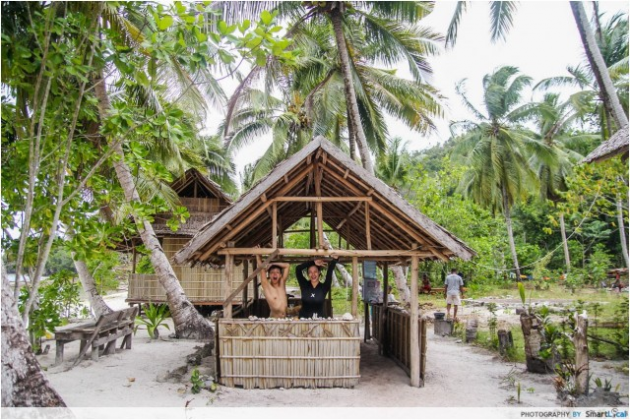 Instead, experience the most authentic form of beach life you’ll ever get with stilted houses, self-constructed wooden houses and - you guessed it - hole-in-the-ground toilets. There are so many diving spots around the world, but few are as affordable and beautiful as Raja Ampat. 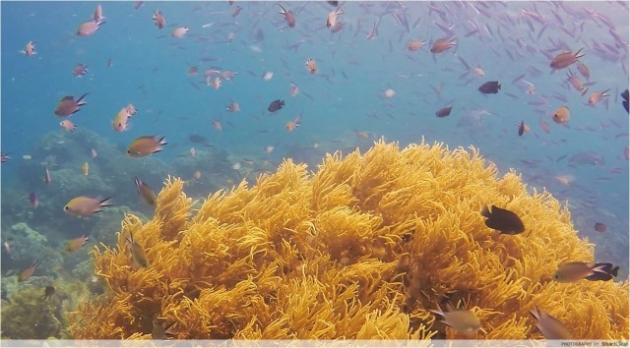 The crystal blue waters make for clear sightings of corals and fish, as well as making it easier to capture the perfect underwater shot. Everyone loves to travel; better yet if you get to travel for free. The wanderlust in all of us will never be fully sated, which is why the DBS Altitude Card is every traveller’s hack to going the distance. With every $1 spent on all online flight and hotel bookings, you’ll earn 3 loyalty miles. This applies to all airline bookings - including budget flights and short hauls - making every flight worth its weight in point mileage. On top of that, you can also earn 2 miles per $1 spent swiping your card overseas, and 1.2 miles per $1 spent locally. Spend more, earn more - it’s a win-win situation. What’s more, your miles will never expire. Earn miles for your next trip - while travelling! With DBS Altitude Card, you can enjoy the atas life even in transit. DBS Altitude Visa Signature Cardholders can enjoy 2 complimentary Global Airport Lounge Access visits per year with Priority Pass. What's more, cardmembers will have the DBS Altitude Butler Service at their beck and call anytime and anywhere in the world. Now you can get up to 8,000 bonus miles to get you started on your journey to collect miles, with loads of travel discounts for DBS/POSB cardmembers to enjoy. Pssst: There’s 10% off hotel bookings from Expedia all the way till Dec 2016! Get your DBS Altitude Card today! This post was brought to you by DBS.